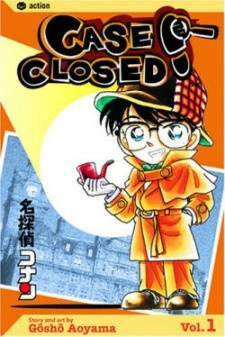 Scenario: Kogoro receives a letter with a large sum of money from Kasper Austin requesting that he investigate Moon Light island. On the island, they discover that Kasper was a famous pianist and has been dead for twelve years. They believe the client wanted them to investigate Kasper and so they decide to question the Mayor. They learn that Kasper's piano is in the community hall and that the previous mayor was discovered dead with the song Moonlight Sonata playing in the background. Moonlight Sonata was the same song Kasper played on his piano during the fire that killed him. During the funeral for the previous mayor, Moonlight Sonata is heard from the piano room and they find another man murdered there. 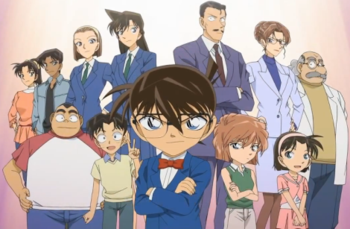 Conan interprets the letter as indicating that the murders are just starting. Conan and the others spend the night near the piano along with Dr. Nadia Adams. The police interrogate everyone the next day who where at the funeral but another man is murdered. Music notes left by the killer reveal that he is avenging Kasper Austin. From further investigation of Kasper's music sheet Conan realizes the killer is Dr. Nadia Adams. Conan, through Kogoro, reveals that she has been creating alibis by reporting the wrong times of death. Conan also deduces that Dr. Adams is Kasper's son, Simon Austin. He disguised himself as a woman to get revenge on those who murdered his family. Simon escapes to the community hall where his father's piano is and sets the building on fire. Conan tries to convince him to escape from the building by showing him Kasper's dying message. Simon, grateful for Conan's attempt, throws him out the window. Simon then plays Moonlight Sonata as the building burns down around him, just like his father.